Sts have to write the correct Word/s below the pictures.& add any necessary Word/s (a/n etc. 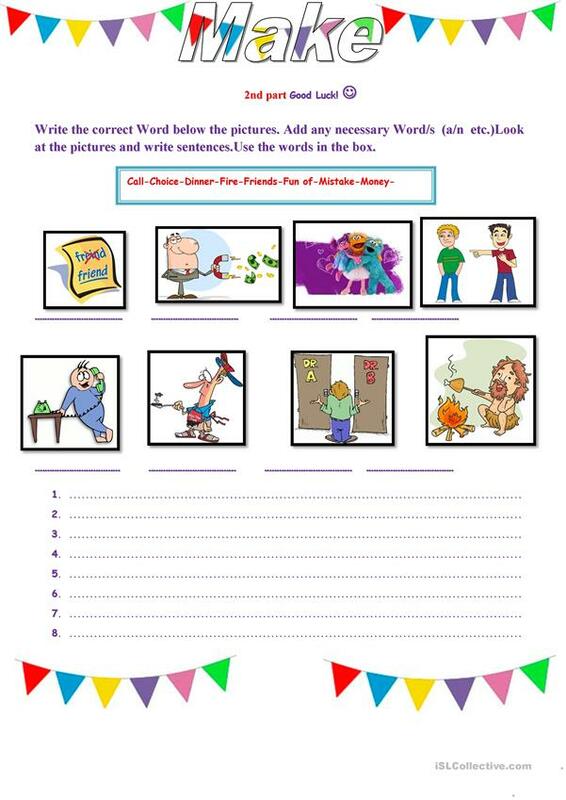 )Look at the pictures and write sentences.Use the words in the box. The above printable, downloadable handout is meant for high school students, elementary school students and adults at Beginner (pre-A1), Elementary (A1), Pre-intermediate (A2) and Intermediate (B1) level. It can be used for honing your groups' Writing skills.